In the first decade of the 21st century, the Delhi High Court presided over the most comprehensive and ruthless slum removal campaign that the city had seen in a generation. In this paper, the author will examine how the procedural departures made possible by India’s unique Public Interest Litigation (PIL) jurisdiction enabled it to function as a slum demolition machine. 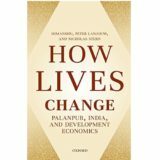 While much of the critique of the Indian appellate courts’ interventions in urban governance has focused on its ideological predilections relying on a dissection of judgments, Dr Bhuwania argues that such discursive analysis serves only a limited purpose in helping us understand this phenomenon. This is because, city-related PIL cases of this era often did not end up in any ‘judgments’ at all but in an endless spiral of ‘orders,’ that are not reported in law journals. This is just another peculiarity of the 21st century PIL, among its numerous other anomalous features, which enabled the Court to perform a role that can scarcely be called adjudication, as it is usually conceived. However, much of the scholarship on PIL has ignored such specificities of this jurisdiction and has continued to concentrate on the completed judicial process, i.e. judgments and other reported decisions of the courts, and the discursive charge they have. The author argues, on the other hand, that to understand this phenomenon of the court-led remaking of the city in its materiality, the procedural departures of PIL, which the Delhi High Court took to its reduction ad absurdum in this period, have to be understood and foregrounded. Anuj Bhuwania is an Assistant Professor in the Department of Sociology at South Asian University, New Delhi. He studied law in National Law School of India University, Bangalore and School of Oriental and African Studies, London before doing his PhD in Anthropology at Columbia University. He has been a visiting fellow at the Centre for the Study of Law and Governance (CSLG), Jawaharlal Nehru University and at the Centre for the Study of Developing Societies (CSDS), both in New Delhi.